Size: Length-26cm. Diameter 46mm. Barrel Diameter 30mm. Main Features: Circular section handle with special non-slip knurling. Removable tip. Smooth aluminium barrel. 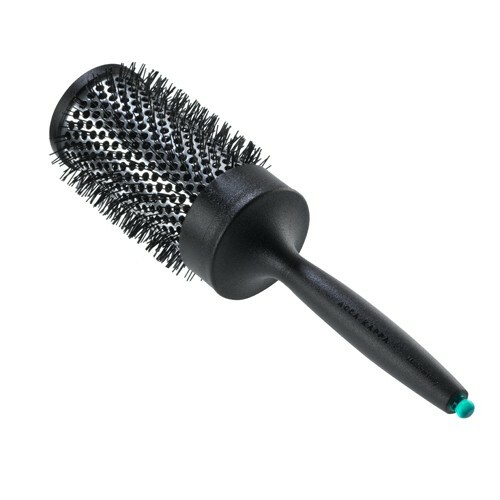 Use: The circular section and particular shape of the handle have been specially studied to ensure complete grip and provide perfect control in the rotational movements of the brush. The special non slip knurling in the neck of the handle provides a perfect grip in every situation. 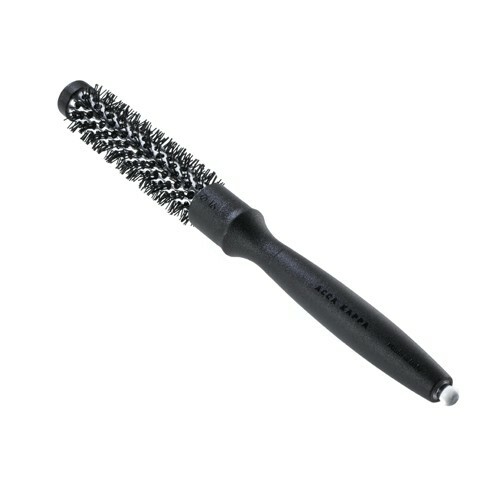 The brush is extremely lightweight and perfectly balanced, so that it can be used for long periods with minimum hand fatigue. As it has a completely smooth barrel, the brush glides evenly through the hair and annoying snares and tangles are prevented. 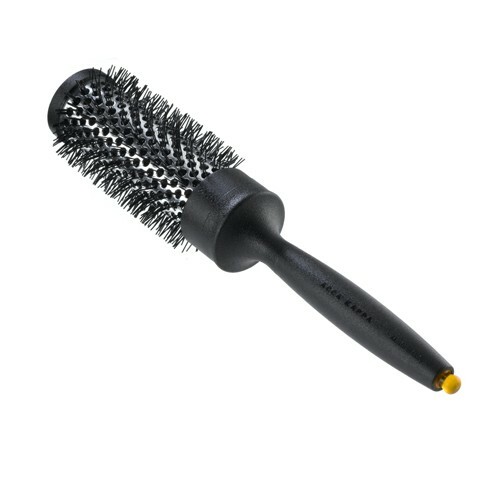 The nylon hair dryer heat-resistant filaments have undergone a special treatment to round off their tips so they do not scratch the scalp or damage the structure of the hair.